This year, our 23th gig in Stockholm, we will offer our guests: live band, surprises and prize draws and more – all for you as a visitor/exhibitor to experience something really extraordinary. See you at the Fryshuset! Café Catering and entertainment on the main floor. Guitar show one floor down in the dining room. Welcome to the 2019 guitar show at Fryshuset, October 26 to 27 – this show will be the 23th in Stockholm! The years pass but the interest for the Great Scandinavian Guitar show is solid and it feels great fun! As usual, we also want to make this show the best! This year’s theme is still a secret. Without you, it would never have been this great experience. So, we would like to thank you for bringing you something extra to show up, to be valued, admired or simply sold. 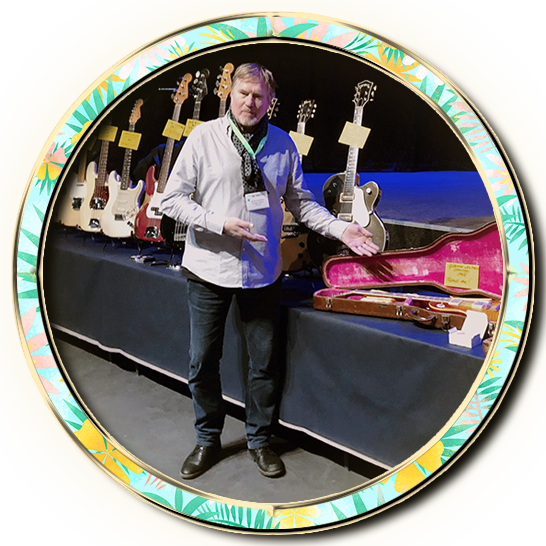 So dazzle us with a bunch of interesting things on this year’s Great Scandinavian Guitar Show 2019. We will also spice it up with live bands on stage). We have skipped Clinics with artists since we believe it attracts the attractiveness of the show itself and the important meeting with the customers. 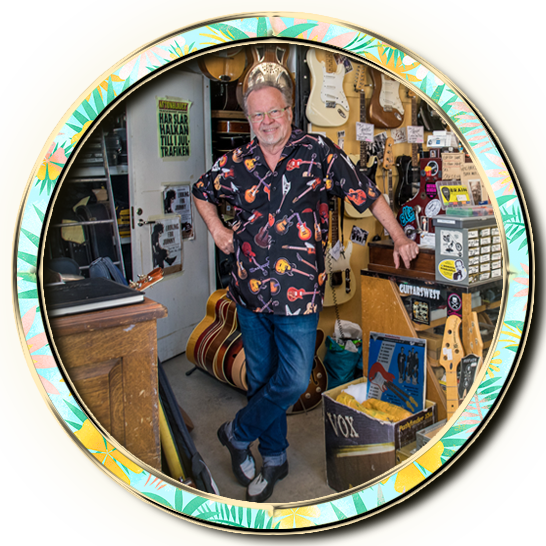 Welcome to exhibit in Scandinavia’s largest exhibition of vintage instruments – guitars, basses, amplifiers, mandolins and ukuleles, pedals, handmade beauties, pickups, notes, books, magazines and accessories and parts in a blissful and beautiful mix. Vintage, second hand and new! Friday, October 25 4:00 p.m. to 8:00 p.m.: Get in. Saturday, October 26 08:00 to 09:30: Get in. Saturday, October 26 10:00 to 17:00: Showtime. Sunday, October 27 10:00 to 16:00: Showtime. The tables are 140 x 70 cm and can in principle be placed how you wish if You gets approval by the exhibitor next to you (variations of table sizes can occur when we hire 130 pieces table and the provider offers is not always the right size). 2 chairs are included. 2 tickets per exhibitor. That is, 2 deltagarbiljetter accepted, not more. If more is desired, you pay the admission price! It is not allowed to collaborate with other entrepreneurs to share tables prices, each exhibitor pays their tables. Requests to stand at colleagues received course. Note that this is a silent show, for everyone’s sake. We reserve the right to simply throw out those exhibitors who do not respect this – without any mercy or refund! This is an arrangement of The Great Scandinavian Guitar Show and Anders Anderson and Janne ”Halkan” Hallquisth. Welcome to this year’s Great Scandinavian Guitar Show 2018! Copyright The Great Scandinavian Guitarshow 1996-2018.